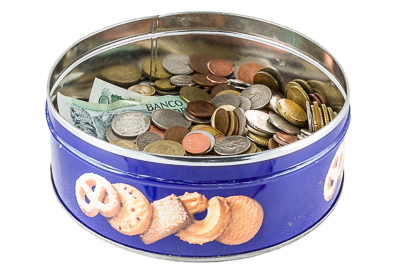 Is there a cookie tin with mixed foreign coins and banknotes sitting in one of your cupboards? 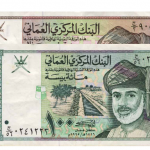 Do you think your old travel money isn't worth much, if anything? We think you may be pleasantly surprised. Identifying foreign coins and banknotes can be a challenging task, we know. We can help you with sorting and counting your mixed lot of foreign currency, free of charge. Let us take care of the sorting for you. That way you win time AND money! We know our currency: we are able to spot valuable coins and banknotes in the blink of an eye. We know which items still have face value and which ones are collectables. We’ll send you a comprehensive, itemised receipt for the currency submitted. For each currency type, it shows the amount counted, the exchange rate and the amount paid out. After having sorted and counted your currency, we will get you paid quickly. Our sorting centre is fitted out with specialised sorting equipment and coin counters for different currencies. Our sorting processes are set up efficiently so we can sort large batches of currency in a short time. We aim to get you paid within five working days. If it takes us longer, for example because you submitted a large amount of mixed foreign coins, we will contact you. You’ll receive payment via your selected payment method: bank transfer, cheque or PayPal. For calculating the payout value, we use the internet-leading exchange rates displayed on our Exchange Rates page. Exchange your mixed foreign currency to cash today: it’s a quick and easy two-step process. Print out the exchange form. Fill in your personal details and select a payment method. No need to fill in the amounts per currency, we’ll take care of that. Send the currency to our office: LOC, 3rd floor, 207 Regent Street, London W1B 3HH, United Kingdom. Feel free to read our tips and tricks for sending money in the mail.